Hi, I’m Dr. Heather Pranzarone Stratton at HPS Advanced Dental Care. We’re located in Shelby Township, Michigan. I wanted to talk to you guys today about our new panoramic X-ray machine. When you come into the office, you may notice that this is new. We had an old panoramic machine that we stopped using about a year ago because we wanted to get this one, which is all digital. So now when we’re taking panoramic X-rays we can see them on a computer just like the digital x-rays that we were taking in the rooms, the bitewings, the PAs. This is a little bit different of a machine and so I wanted to talk a little bit today about what this does. 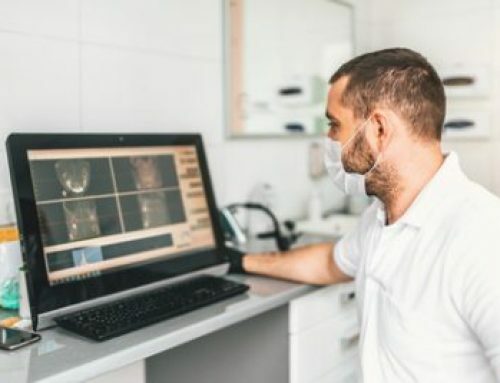 I know a lot of our patients whether their holistic or traditional dentistry patients, they are concerned about radiation from any kind of x-rays and that’s always a big concern of ours. 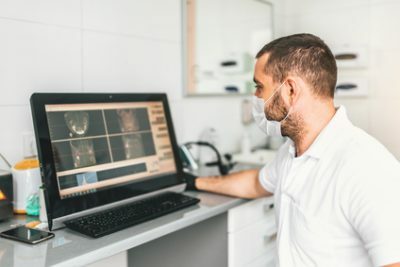 This is why we decided to go digital with the panoramic machine as well as digital with the bitewings, the little side x-rays that we take on you, yearly as well. So I have a chart, which you will be looking at that shows us what amount of radiation we get just from different things in our lives that we’re exposed to. Eating a banana is the first amount of radiation that we get, which is obviously the lowest amount of radiation that we can get. Not too far down from that actually, is this dental panoramic x-ray. Actually, if you fly from New York to LA, you get more radiation with one flight from New York to LA than you get from taking one panoramic x-ray. I imagine the flight from New York to LA would be more exciting but this is more important probably depending on why you’re flying. But this is important, because what we see in this dental panoramic x-ray are all structures in your head area and around your mouth. So we’re going to see your teeth, we’re going to see the bones supporting your teeth, we’re going to see your condyles, which is how your jaw opens and closes. We’re going to see your sinuses, we get to see your septum, your nasal septum, and see if that’s deviated. We will see if there’s any inflammation in your sinuses at all. So there’s a lot of things we can see with a panoramic x-ray that we can’t see with traditional x-rays. So this is one more reason why we’re concerned about your overall well being and your overall health. It’s another way that we can diagnose different things that are going on in your head and even your upper neck a little bit there. So this is a very important piece of equipment to have and we decided to get it so that we can lower the amount of radiation that you’re receiving. So if you have any questions about this machine or anything else that we do here, please give us a call at 248-652-0024.